We are a well-noted manufacturer, exporter and supplier of Magnetic Drill (TK-TYP-32) from Yongkang, China. This Magnetic Drill is offered with a twist drill of 2.5-32mm and no load speed of 260/460RPM. 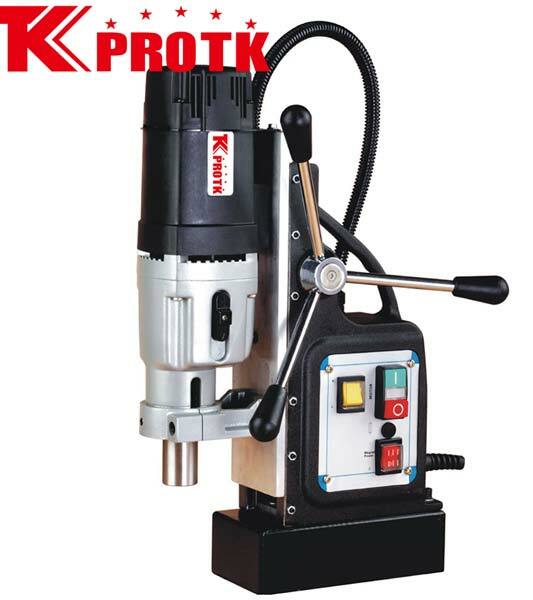 The electric data specification of the Drill is 230V/50Hz/1200W & 120V/60Hz/1200W. The Magnetic Drill comprises of an M30 screw, MT3 spindle holder and has a magnetic adhesion of 13000N. This 220*110*60mm sizes Drill weighs up to 21kg and is offered by us in secure iron box packaging.